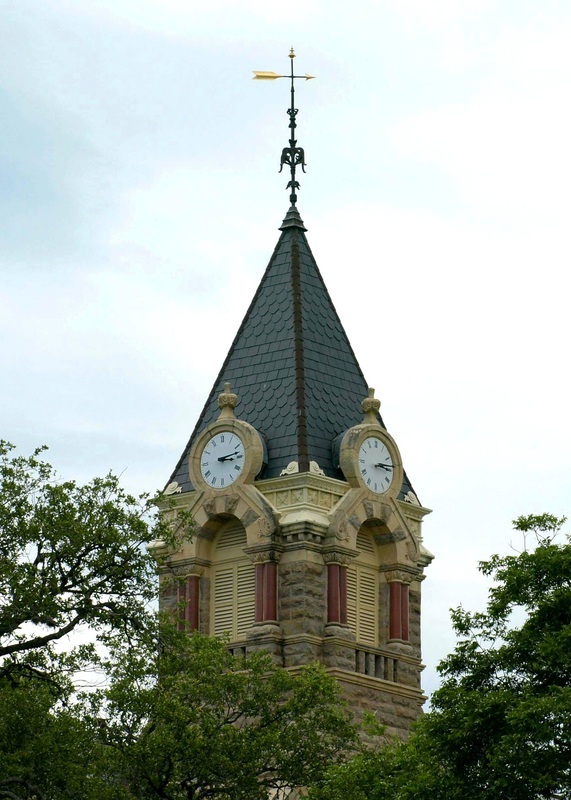 La Grange: almost the capital of Texas! 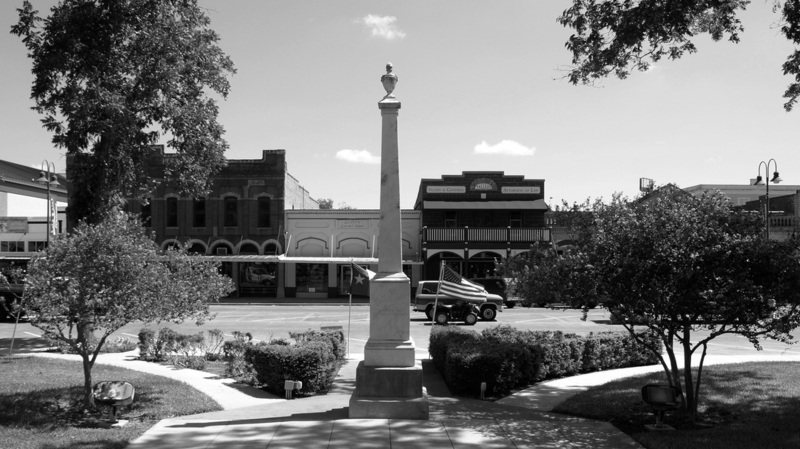 Founded near a Colorado River crossing used by Indians and Spanish explorers, the City of La Grange’s development resonates with themes predominant across Texas history. 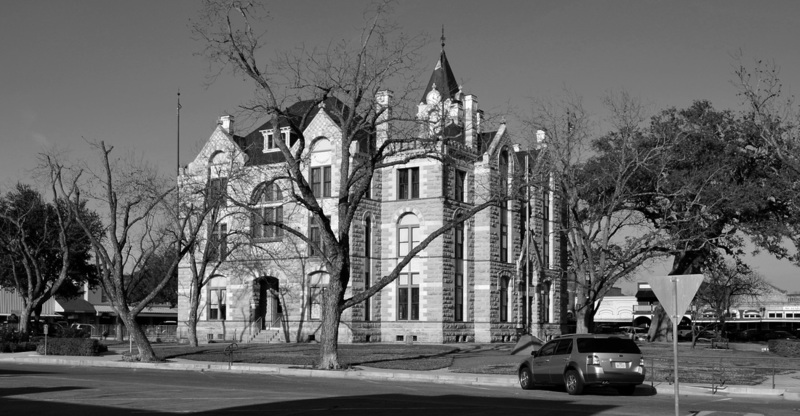 In 1826, a twin blockhouse called Moore's Fort was built within what is now the city limits. 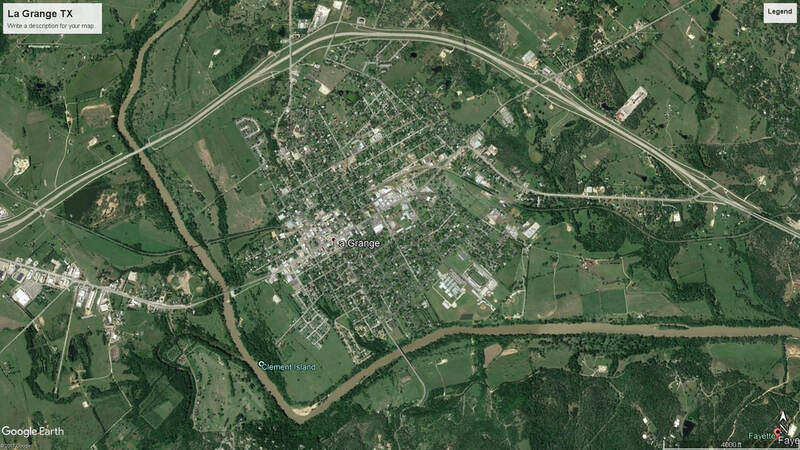 By 1831, a small community had developed and in 1837, a town was platted. 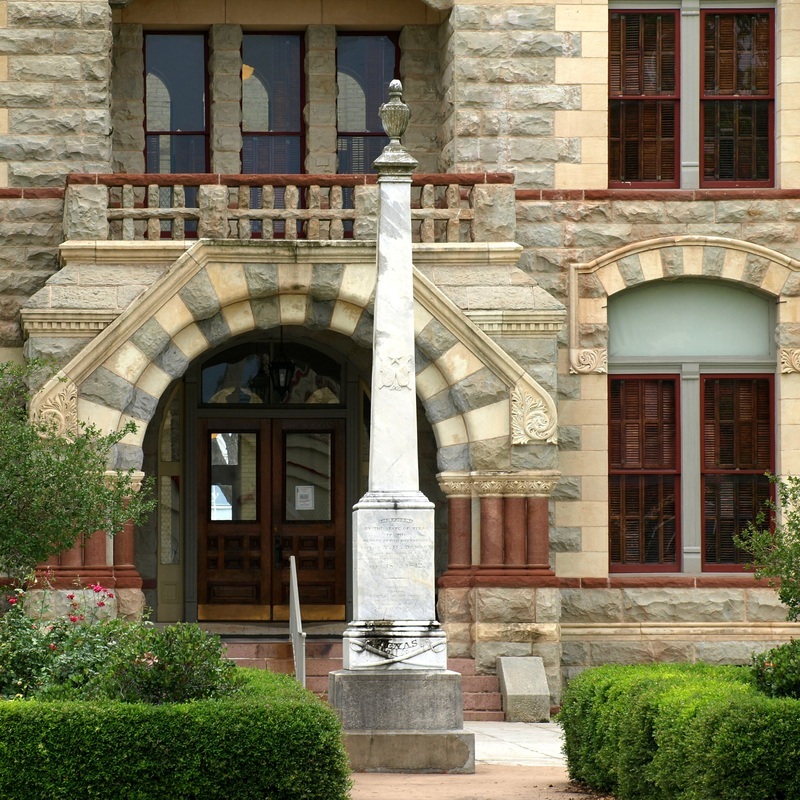 When the Congress of the Republic of Texas established Fayette County the same year, La Grange became its seat of government. 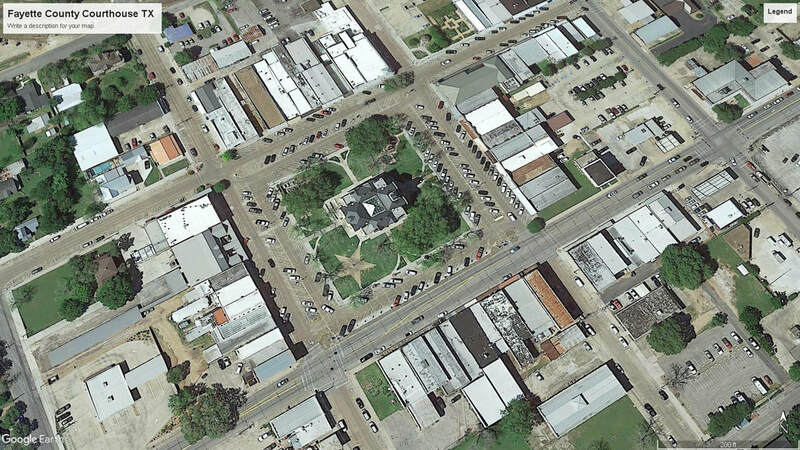 Fayette County is named after the Marquis de Lafayette, a Revolutionary War hero. 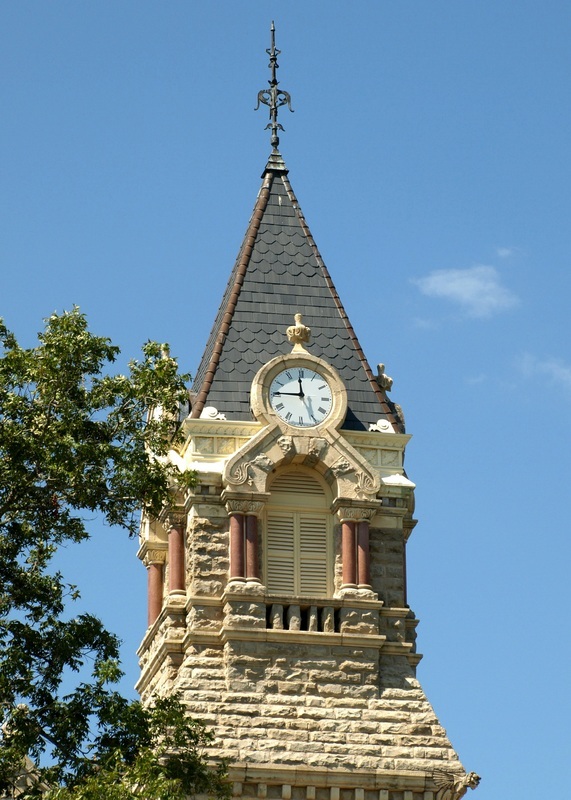 The City of La Grange takes its name from his chateau to which he retired.The citizens organized the county government on January 18, 1838, and the southwestern boundary of the county was extended westward on May 3, 1838. 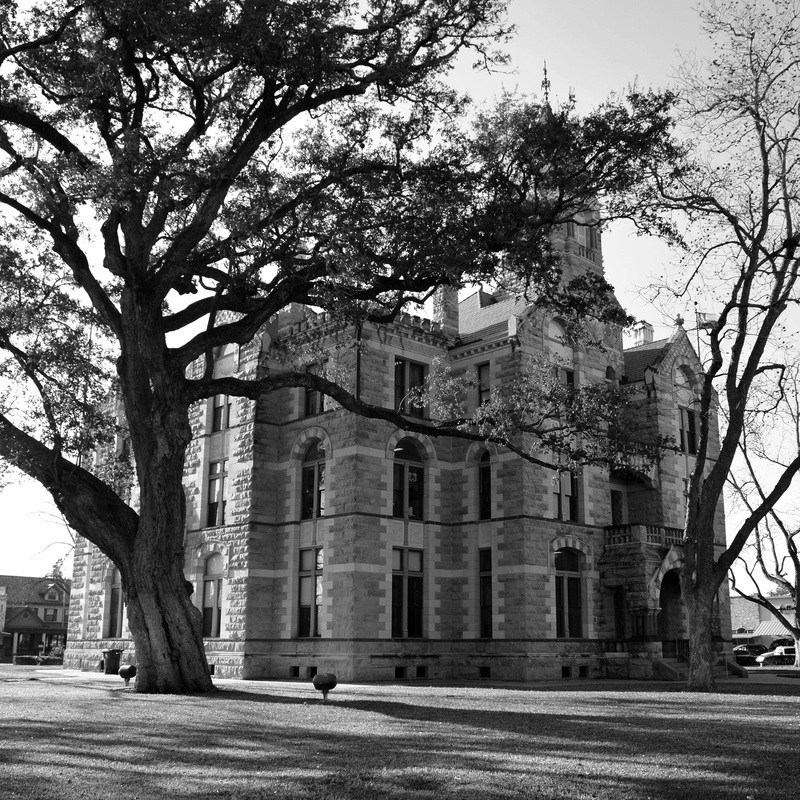 The county lost territory in the south to Lavaca County in 1854 and in the north to Lee County in 1874. 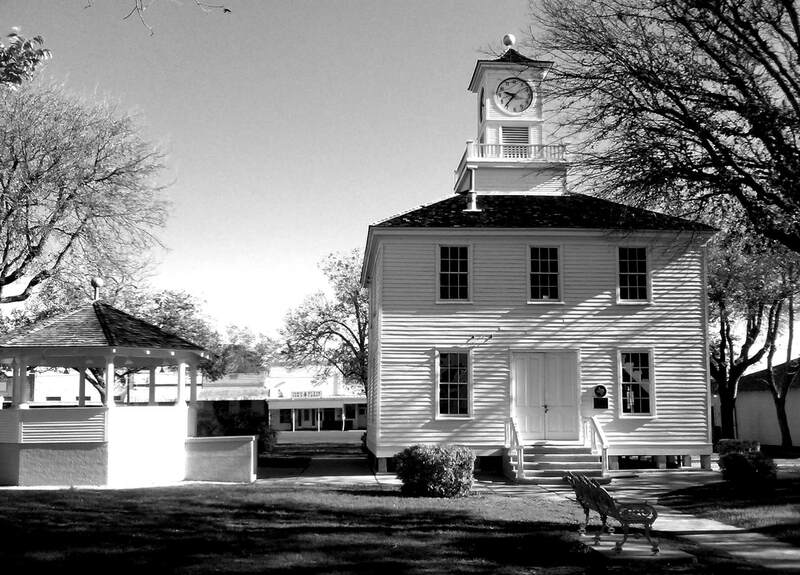 La Grange-area citizens were instrumental in the fight for Texas independence. 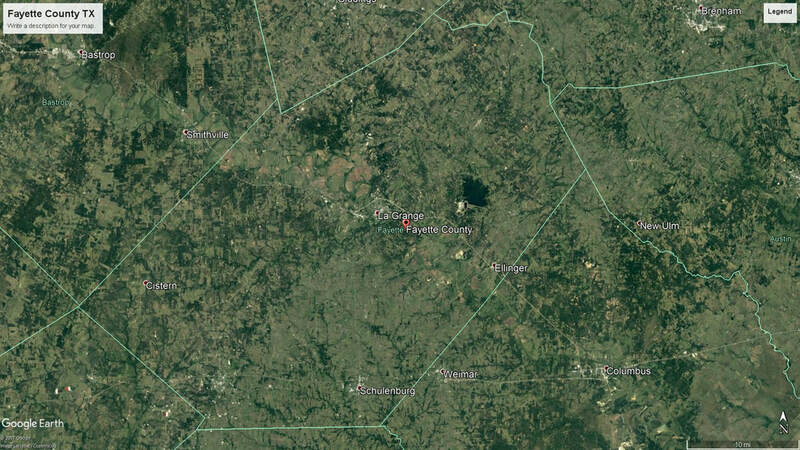 In 1838, the Texas Congress passed a bill intended to place the capital of the Republic of Texas on a site contiguous with La Grange; however, it was vetoed by Sam Houston, first president of the Republic of Texas. 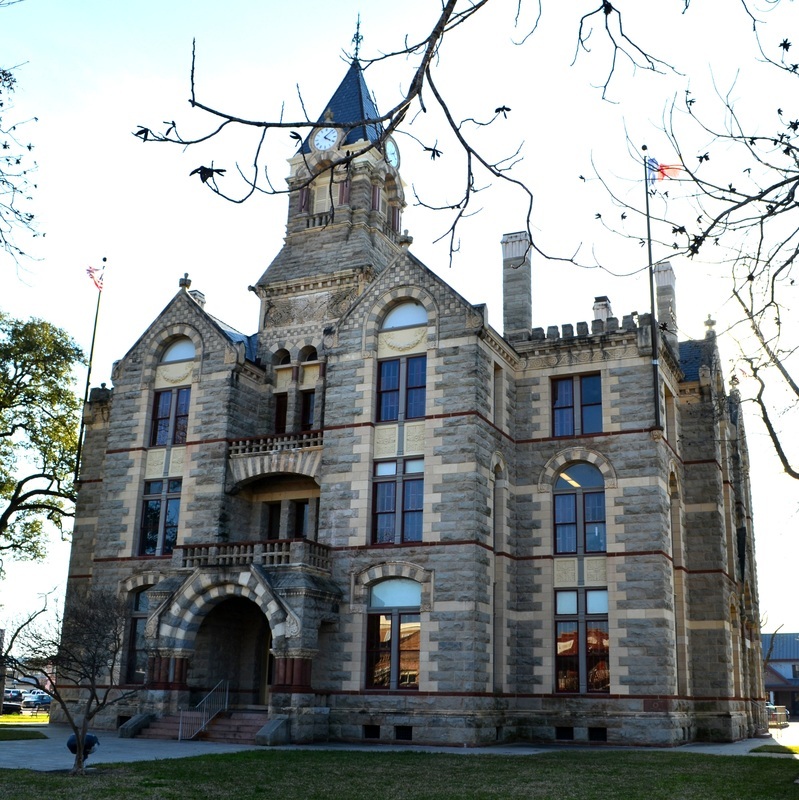 I visited Fayette County and photographed the courthouse on May 24, 2009, September 3, 2011 and once again, on Friday, January 25, 2013. 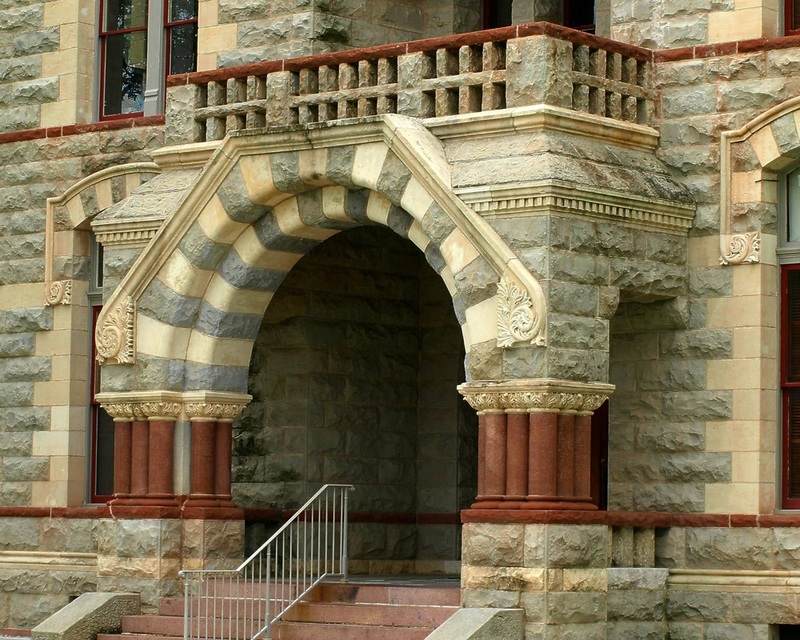 "Texas courthouse architect James Riely Gordon designed this 1891 Romanesque Revival courthouse. 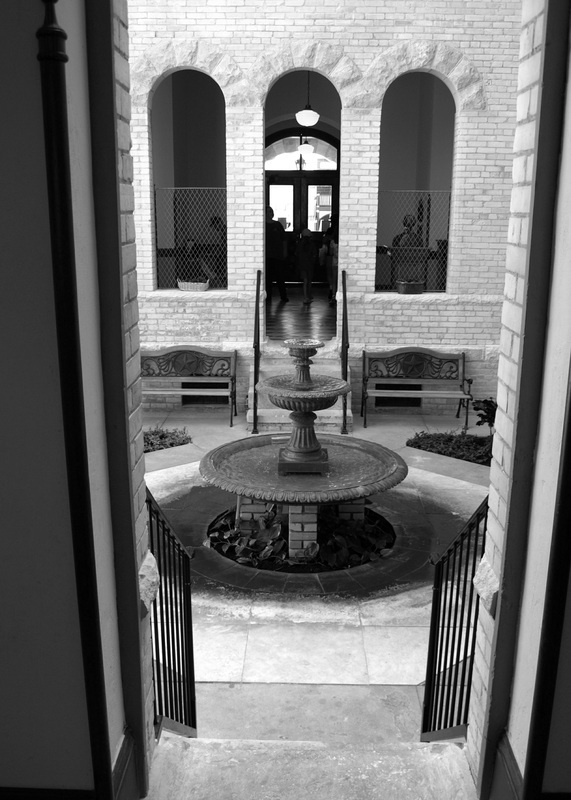 Rare among courthouses, this structure originally had an open atrium at its center providing ample natural ventilation and lighting and featured a large fountain, cast iron sculptures and tropical plants. 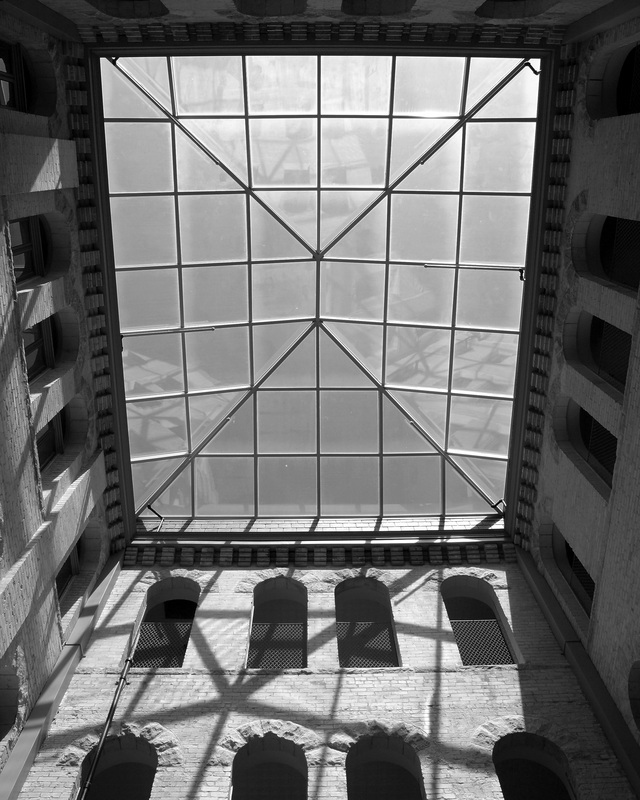 Enclosed for vaults and office space many years ago, the atrium was reopened recreating what is sure to be or of the most uniquely beautiful features to be found in a courthouse in this state. 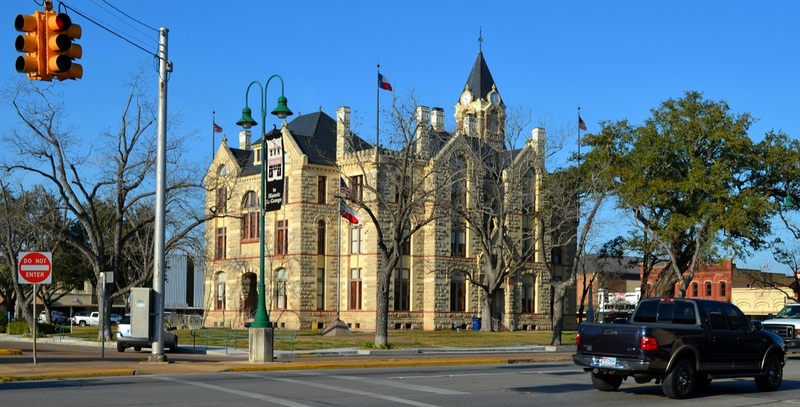 The entire building was restored to its historic appearance in a manner that will provide both aesthetic beauty and functional utility for the county. 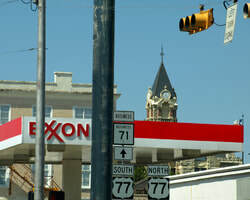 Work began in June 2003 and was completed in March 2005." 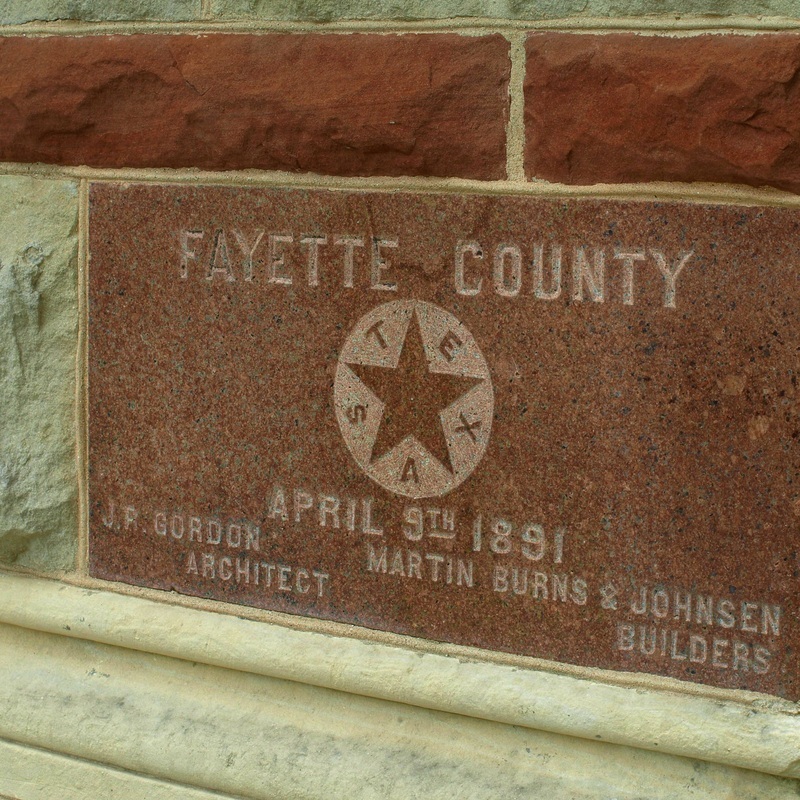 The builders of the Fayette County courthouse, Martin Burns & Johnsen, were associated with a number of 19th century Texas courthouses. Oddly, the spelling of last two names of the company varies from location to location. It's also spelled "Martin Byrnes & Johnston" and Martin Byrns & Johnson." 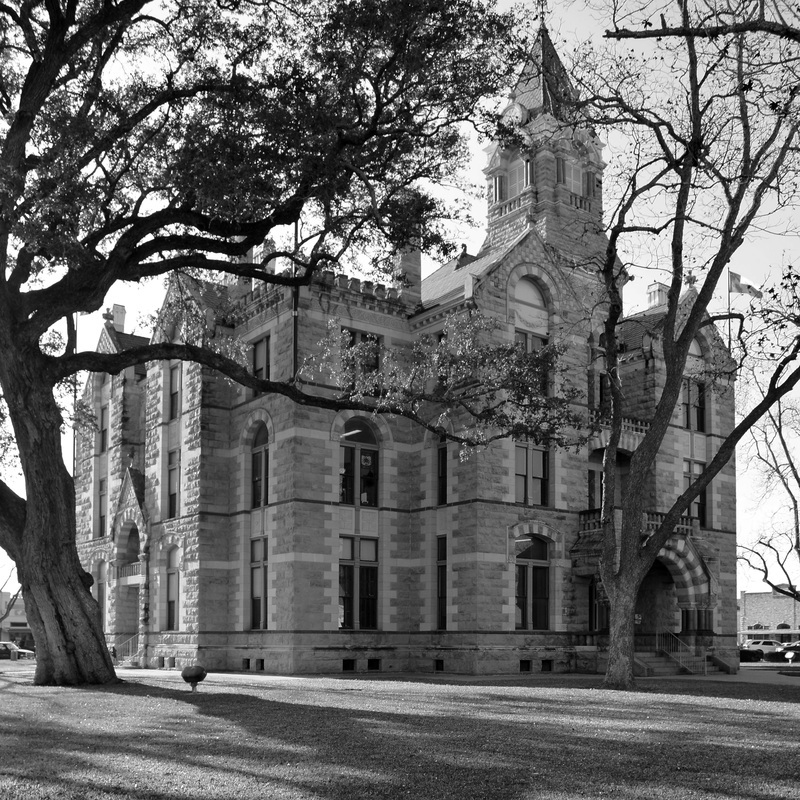 The Fayette County Precinct #2 Courthouse on the square in Fayetteville TX. 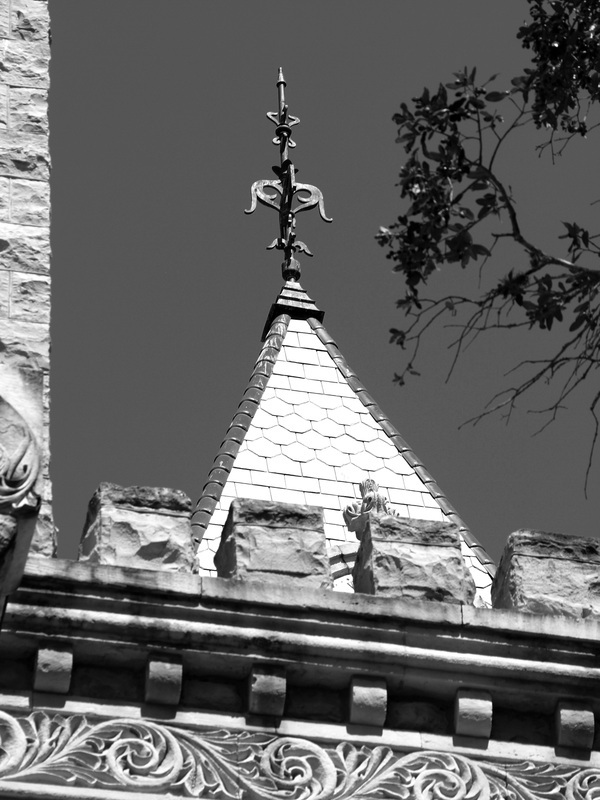 The building dates from 1880, but the tower was added in 1934.